On 24 June 2013, the European Free Trade Association (EFTA) held its summer Ministerial meeting in Trondheim, Norway. The meeting was chaired by Mr Trond Giske, Minister of Trade and Industry of Norway. Ministers of the four EFTA States (Iceland, Liechtenstein, Norway and Switzerland) signed free trade agreements with the Central American States of Costa Rica and Panama, and with Bosnia and Herzegovina. A joint declaration on cooperation was signed with Myanmar. 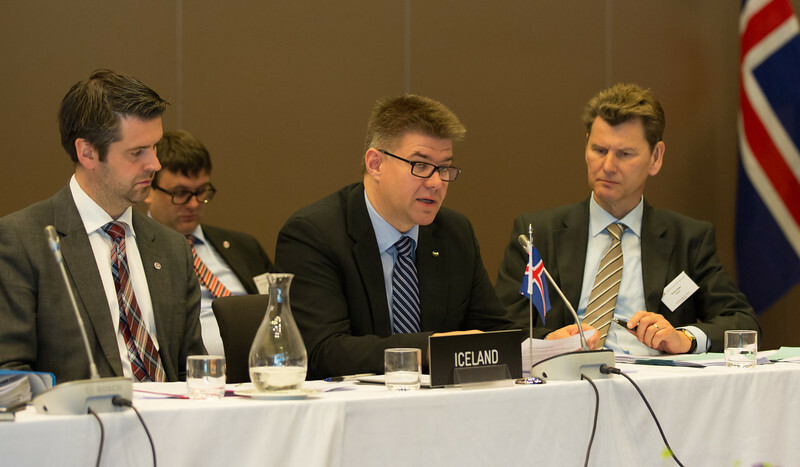 From left: Martin Eyólfsson, Ambassador, Permanent Representative to EFTA Permanent Mission of Iceland, Geneva; Gunnar Bragi Sveinsson, Minister for Foreign Affairs and External Trade, Iceland, and Thórir Ibsen, Ambassador, Permanent Representative Permanent Mission to the European Union, Brussels.